The CRA Bulletin frequently shares news, timely information about CRA initiatives, and items of interest to the general community. Join the RSS feed to stay connected. 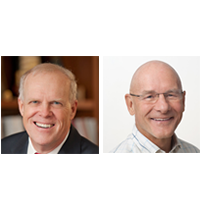 ACM has named John L. Hennessy, former president of Stanford University, and David A. Patterson, professor emeritus of the University of California, Berkeley, recipients of the 2017 ACM A.M. Turing Award for pioneering a systematic, quantitative approach to the design and evaluation of computer architectures with enduring impact on the microprocessor industry. Patterson is a former CRA Board Chair and will be a plenary speaker at the 2018 CRA Conference at Snowbird, and Hennessy was the keynote speaker at the 2012 CRA Conference at Snowbird. “Patterson and Hennessy are honored for their creation of an approach to designing faster, lower-power and reduced instruction set computer microprocessors, known in their field as RISC processors. Today, 99 percent of the more than 16 billion microprocessors produced annually are RISC processors, and they are found in nearly all smartphones, tablets and the billions of devices that comprise the Internet of Things. Patterson and Hennessy laid out their principles in their influential book, Computer Architecture: A Quantitative Approach, now in its sixth edition and studied by generations of engineers and scientists who have adopted and further developed their ideas. 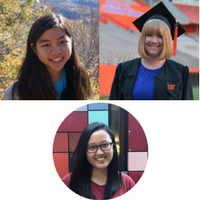 Click here to read the full UC Berkeley news release. Type e-mail and hit enter.